PRINTS & GOODS Now Available! I am so excited to share something that I’ve always been wanting to do with my art - prints & paper goods!! One of my very first art purchases was a Teil Duncan Fine Art print. She is an artist I look up to in so many ways, and when I graduated from college, I wanted to treat myself to a piece of her art to mark the occasion. The only product of hers that was in my budget was a print. A fine art print is a high-quality reproduction of a piece of original art. I was so proud to feel confident in purchasing my own piece of art, and that print still hangs in my home to this day! The moral of the story is that original art isn’t accessible for everyone. But every space and every budget deserves to have access to art in any form. 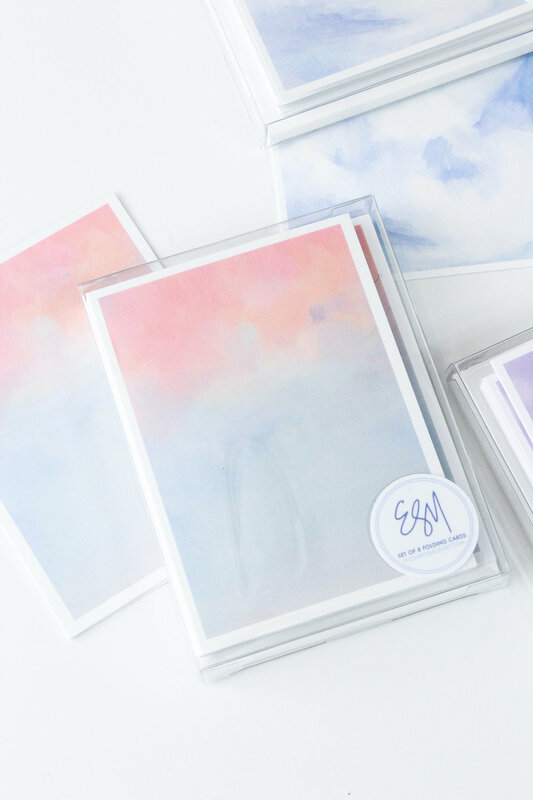 I decided to pick some of my favorite original pieces from my most recent collection, The Color of My Sky, and reproduce them on the most luxurious fine art paper. I picked some small pieces (which would look great framed as part of a gallery wall!) and some larger pieces (which would make quite the statement) to provide a range of options that will hopefully meet all of your art-related needs. But, wait, there’s more! In addition to fine art prints, my online shop now has the very first sets of stationery featuring detail close-ups from Girl Crush and Day Dreaming. Each set has 8 folding cards, and is accompanied by white envelopes. Send a beautiful “hello” with some snail mail! CLICK TO SHOP GREETING CARDS! Ok, ok, one more thing. 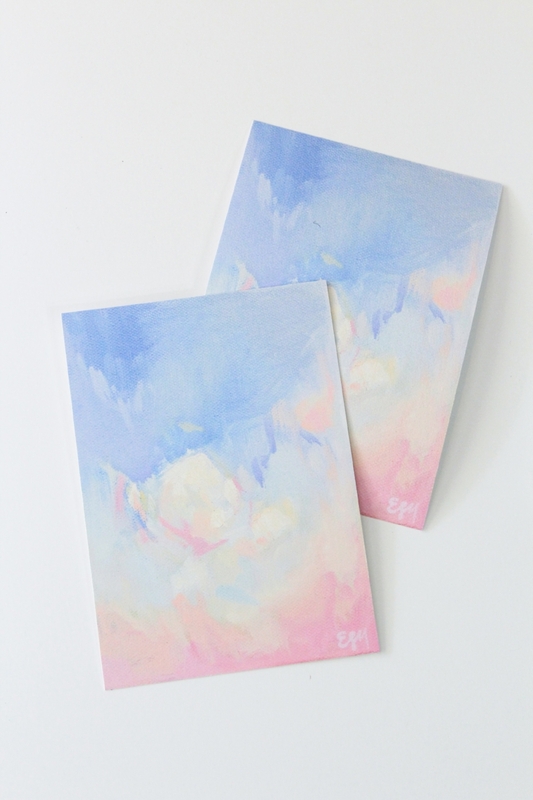 My email subscribers are getting a special treat to celebrate the new prints! Sign up below to receive 10% off your print order from now until Sunday, 9/30! 10% OFF YOUR FIRST PRINT! Sign up with your email address to receive the special coupon code. Coupon code good for the first order only. We respect your privacy! Thanks for signing up! Check your inbox for a special treat, just for you.